Featured on this deal of the week is a beautiful Hermes Kelly bracelet in excellent condition. 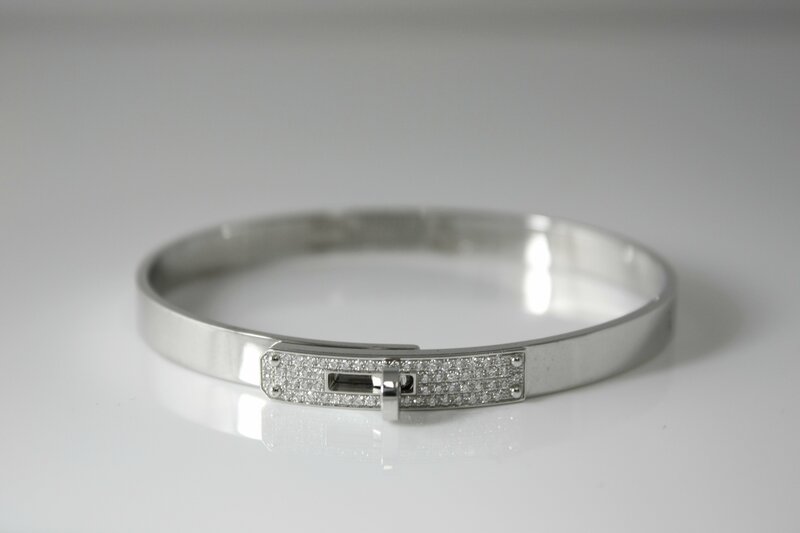 The bangle is made of 18k white gold set with 61 diamonds (0.36 ct). The Hermès Kelly handbag became legendary when it appeared on the arm of Grace Kelly. The Kelly bracelets are inspired from the clasp of this emblematic bag. 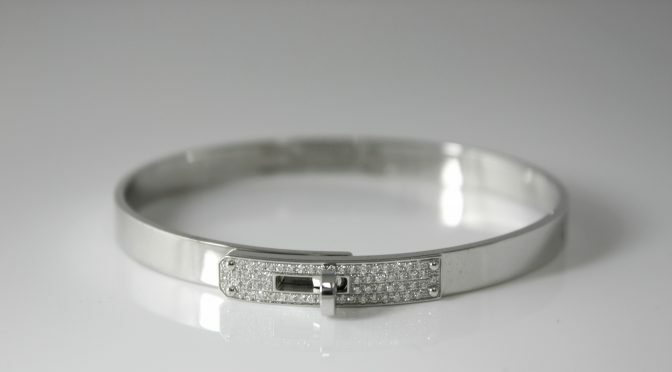 This particular Kelly bangle currently retails from Hermès for $16,800.